Interesting question. I think that the better the series, the more books the author can get away wtih. But as a general rule of thumb, when a book series goes over 5 books, we’re in dangerous territory. I’m gonna have to copy Holly on this one: cliffhangers are a great device to keep you reading, but please don’t use one to end your series or stand-alone book! If it’s a book I’m going to be reading a lot, hardback. I’ve had too many paperbacks fall apart on me (looking at you, Prisoner of Azkaban). But otherwise, I’ll settle for paperback. Just one? I legitimately don’t have one favorite book. I’m gonna pass on this question. No. They’re overused as a shortcut to drama. I rarely DNF books. But a few months ago, I tried to re-read A Wrinkle in Time, and I just… couldn’t do it. I pushed to about the third chapter before I’d had enough. Madeline L’Engle’s writing style grated on me, and I found the dynamic between Meg and Calvin thoroughly unconvincing. I remember liking A Wrinkle in Time as a kid, but it didn’t do it for me this time around. T.S. Elliot’s Four Quartets. It make my head spin. I’m not sure if I’m meant to understand it or not. 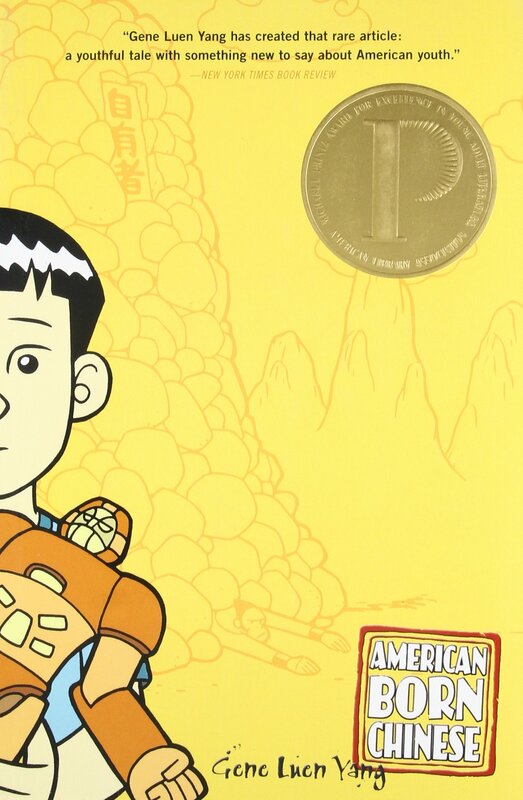 American Born Chinese by Gene Luen Yang. It’s a short but brilliant graphic novel that intertwines Chinese, Christian, and American mythology to explore what it’s like to be caught between two cultures as a kid of an immigrant. (Notice the “Transformer” on the front cover?) It resonates with me so much, and I feel like it could be the defining book for a generation of multicultural kids. I’ve read parts of Gilgamesh but not the whole thing, so I won’t count it. The oldest whole book I’ve read is the Iliad. It was written around 762 BC, give or take 50 years, according to Google. I think that would be The Inquisitor’s Tale by Adam Gidwitz, which came out in 2016. It’s a wonderful middle grade novel that explores race, religion, and truth in the Middle Ages. I don’t agree with everything the author says, but it’s a worthwhile read. C.S. Lewis, all the way. I love everything I’ve read by him (except for Perelandra but it wasn’t bad, just not my cup of tea), and he was such a good man in his own right. If it’s a book I’m going to want to write in–buying. If it’s a book I don’t think I’ll like–borrowing. Otherwise–I’m good either way. I’m going to have to go with A Wrinkle in Time again here. Heck, it has a Newbery Medal, and so many people loved it growing up. But I don’t think it’s that good. Bookmarks all the way. If I don’t have a bookmark, I’ll just try to remember where I left off. I refuse to dog-ear my pages. 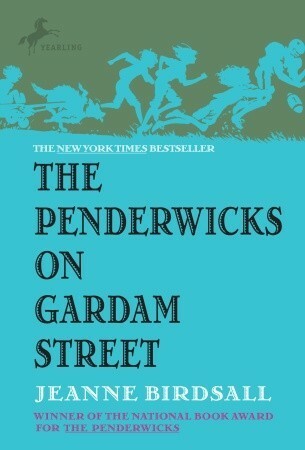 The Penderwicks on Gardam Street by Jeanne Birdsall. I first read this when I was seven or eight, and I’ve read it at least twenty times since then. It hasn’t lost any of its charm. Yes. When your sister is always playing the banjo in the same room that you’re trying to read in, you have to adapt. One POV is perfectly fine. Multiple POVs are hit-or-miss. I hate books that alternate POVs, but both are in first person. It’s so hard to keep track of who’s speaking. I also don’t like books in which the chapter titles tell you whose POV the upcoming chapter will be. But what I love are books with a main character but a third person omniscient narrator who can sort of enter everyone’s mind and tell you what everyone’s thinking, like in Trenton Lee Stewart’s The Mysterious Benedict Society or Blue Balliett’s Chasing Vermeer (can you tell I really like middle grade?). Those are fun to read and even more fun to write. Also: books where the narrator isn’t the main character, like the aforementioned Inquisitor’s Tale. Those are awesome. My favorite way to read a book is reading it in one sitting at first, then rereading it right away at a slower pace. But I can’t always do that for everything. I usually read books for class one time over multiple days, because they’re often too dense to read more quickly. I can’t think of one. I don’t usually do that. However, there are plenty of books I haven’t read because of the cover! What do you think about my answers? How would you answer these questions? Let me know in comments! Hahah thank you so much for tagging me! That’s the first time anyone has for anything other than awards! 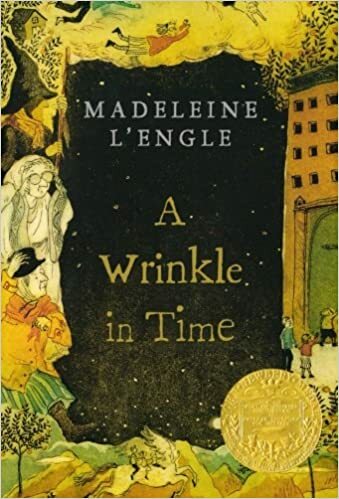 Oh my gosh I read Wrinkle In Time as a child I rember enjying it well enough now I feel like I have to give it a spin to see if its as good as a rember or if like you I will be dissapointed. A friend of mine just gave me the first Pederwicks to read, and I’ve been putting it off becasue of life but it looks like I need to just dive in! Haha its alwasy lovely hearing your thoughts on books you really get the general feel of a book across very succientcly, and it helps me get a feel if I woudl be interested or not! OMG! Chasing Vermeer I own it, but I forgot about it. Also I never finished the series. But that book instilled in me a love for pentaminos. Thank you so much for nominating me! I haven’t been on WordPress in forever, but I do plan on doing this because it looks so much fun! Oh man, I hear you about paperbacks falling apart! A lot of my favourite books are paperbacks that I’ve had since childhood and read countless times, and they’re all barely hanging on. When your book has basically become a bundle of loose pages, it’s time to keep that copy as a testament to how much you love that book, but invest in a hardcover for actual reading purposes!